With the lenders rejecting an lifeline of Rs 400 crore Jet Airways, which has been on a wing and prayer since January, is left with no other option but to ground operations at least temporarily from Wednesday night, according to reports. 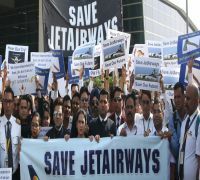 "The Jet Airways management's request for Rs 400 crore emergency funds has been rejected," banking sources told news agency PTI. 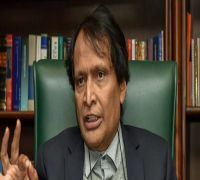 The airline is currently operating only five planes from 123 aircraft in the fleet till last December.According to sources, the government is maintaining distance from the Jet affairs citing the matter is a commercial decision of banks.